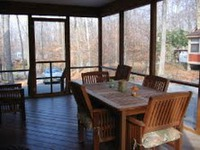 Rick's Pocono Blog: 2 Beautiful Rentals Minutes From Pocono Raceway! 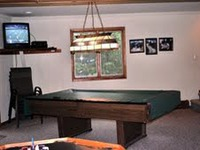 Large Lake Front Home with Three Full Floors of Luxurious Living Space, Complete with a Family Room, Large Dining Room, Living Room and Extra Large Game Room With Pool Table, Game Table, and Full Bar. 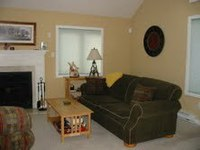 Four Bedrooms, Three Bathrooms and Sleeping Loft. 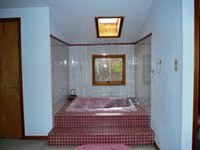 Master Suite has a Walk inMarble and Tiled Jacuzzi Right in the Bedroom! 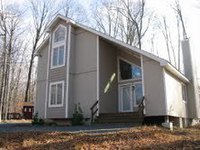 All Right in the Heart of the Poconos With Easy Access to all of The Poconos Premium Attractions, From Skiing at Jack Frost and Big Boulder toThe Indoor Water Parkat Split Rock, To Whitewater Challenges and The Races at Pocono Raceway, This House has the Location! Don't Forget to Hit The Casinos Either!! !